And that’s a good thing. A real good thing. So we need to help them feel. see. hear. God placed his creative spirit inside each of us. For reasons beyond our comprehension, some have the capacity to hold more of that spirit than others. And that’s okay. We were all created with a unique ability to interpret the world around us. And each of us interprets this world a little differently. We can’t all be artists. The world needs scientists, engineers, and accountants, too. See God is big and mysterious and beyond our understanding. Made in his image, each of us reflects a tiny glimpse of him. As we live our lives in the unique way he designed us to live, we reflect God’s glory to a lost, broken, and sometimes very dark world–desperately in need of His light, and glory, and goodness. My passion is to encourage the artist, to nurture the creative spirit within, so that together we can reflect His radiant light. Be sure to explore Create-A-Day: your daily dose of creativity—posting creative resources, tools, ideas and inspiration to nurture your soul!! Jody Thomae is the author of God’s Creative Gift–Unleashing the Artist in You: Bible Studies to Nurture the Creative Spirit Within. Her book is available at: Wipf & Stock Publishers; Amazon and Barnes &Noble. It is also available in Kindle Format through Amazon. Bonnie, Congratulations! 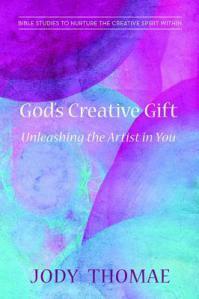 You are a winner of my book, God’s Creative Gift–Unleashing the Artist in You. Please message me back or email me at jody@5stones.org with your address so I can ship it out to you. 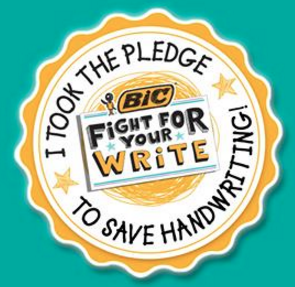 Also if you want me to sign it with a blessing for you personally or blank so you can pass it someone else? Oh I am so glad!!! I pray he is deeply blessed as he listens — that he is taken into the Lord’s presence in a deep and powerful way! !